Breathing new life into resuscitation education, Basic Life Support for Healthcare Providers (BLS) is designed to train professionals to respond to cardiac and breathing emergencies for adult, child, and infant victims. Consistent with the 2010 AHA Guidelines for CPR/ECC, BLS is the foundational CPR/AED program typically required for healthcare providers and public safety professionals including Physicians, Nurses, Dental and Pharmacy Professionals, Physical Therapists, Emergency Medical Services (EMS), Police Officers, Firefighters, and Athletic and Fitness Trainers. 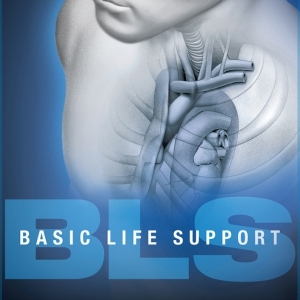 BLS is available in both an instructor-led and blended learning format. Upon successful completion of the course, learners will receive a 2-year “Basic Life Support for Healthcare Providers” digital certificate with anytime, anywhere access to certificate and training history. Brand new Simulation Learning training method available.Simulation Learning is an immersive, online learning experience that allows you to make decisions – and mistakes – without risk to the patient, followed by an in-person skills session. Course length:2 to 4.5 hours. depending on course option. 2010 American Heart Association Guidelines for CPR & ECC. ​What is the difference between Red Cross BLS and CPR/AED for Professional Rescuers and Health Care Providers? Both Basic Life Support for Healthcare Providers (BLS) and CPR/AED for Professional Rescuers and Health Care Providers offer professional-level certification in basic life support skills including CPR and AED. 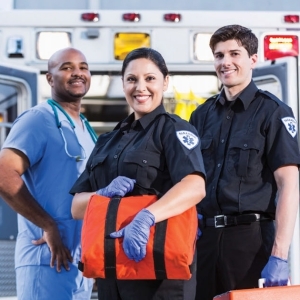 BLS is typically required for healthcare providers and public safety professionals including Physicians, Nurses, Dental and Pharmacy Professionals, Physical Therapists, Emergency Medical Services (EMS), Police Officers and Firefighters. If you are unsure of which course to take, you should check with your employer to determine if you are required to certify in Basic Life Support for Healthcare Providers or CPR/AED for Professional Rescuers and Health Care Providers. Designed for those with a duty to act, CPR/AED for Professional Rescuers and Health Care Providers helps participants respond to breathing and cardiac emergencies in adults, children, and infants. From assessing needs and making decisions to providing care, this professional-level certification program teaches the skills required for your job through discussion, video, and hands-on training based on real-life rescue scenarios. Course covers adults, children and infants and includes free online refreshers. Instructor-led and blended learning options available. Upon successful completion of the course, learners will receive a 2 year "CPR/AED for Professional Rescuers and Health Care Providers” digital certificate. Course length: From 2 to 5 hours, depending on course option. What is the difference between Red Cross BLS and CPR/AED for Professional Rescuers and Health Care Providers? ​Both Basic Life Support for Healthcare Providers (BLS) and CPR/AED for Professional Rescuers and Health Care Providers offer professional-level certification in basic life support skills including CPR and AED. CPR/AED for Professional Rescuers is typically required for those who have a duty-to-act including Lifeguards, Athletic and Fitness Trainers, public safety professionals including Emergency Medical Services (EMS), Police Officers and Firefighters. If you are unsure of which course to take, you should check with your employer to determine if you are required to certify in Basic Life Support for Healthcare Providers or CPR/AED for Professional Rescuers and Health Care Providers. This American Heart Association Course trains participants to promptly recognize several life-threatening emergencies, give high-quality chest compressions, deliver appropriate ventilations and provide early use of an AED. Students participate in simulated clinical scenarios and learning stations. Students complete BLS skills practice and skills testing. Students also complete a written exam.